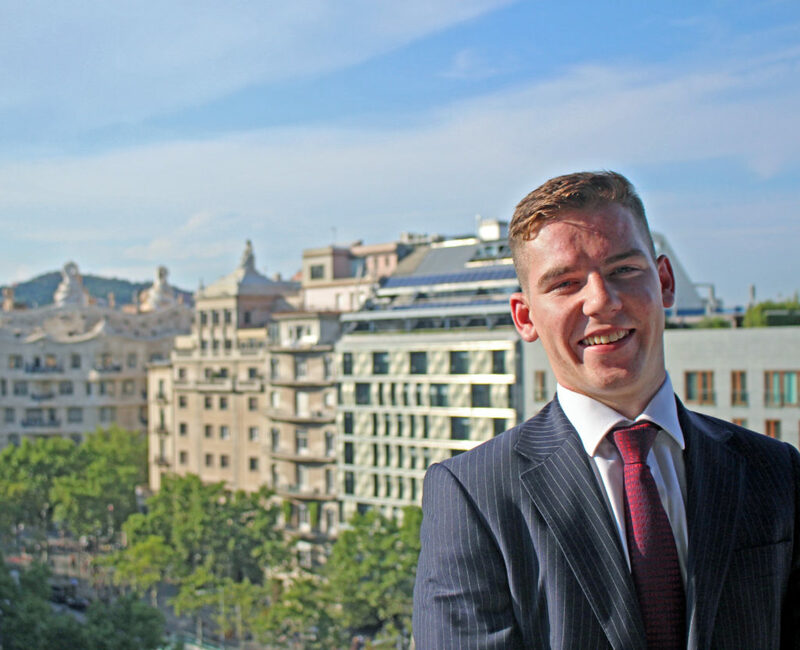 We were delighted to meet with Tobias Band, an Absolute Internship alumnus, in the glaring heat of the Barcelona sun. It was a joy to relive Toby's experiences, to laugh about memories of Shanghai, and generally catch up. So please enjoy this window into life before, during and after an Absolute Internship. A huge thanks to Toby for giving his time to us! Sure! My name is Toby Band. 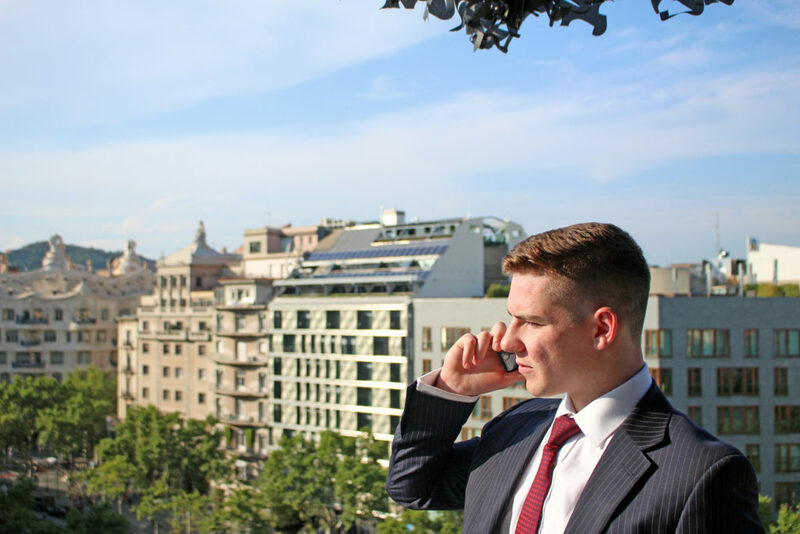 I’m from Chester in the UK, but I'm currently based in Barcelona. I work for The deVere Group as a manager and financial advisor. When did you do you take part in your Absolute Internship, and where? I did my internship 3 years ago, in the summer of 2015, in Shanghai. It was for 2 months. What do you think were the most valuable things that you learned during your experience? I think, for me, the most valuable thing was becoming open-minded and developing the confidence to be outside the UK on my own. While I enjoyed the job in financial services - which was similar to what I’m doing now - my take-away was more about all the people that I met. They were from different backgrounds and different sectors, and I got the chance to start to understand how different people work. I think this is very valuable to becoming successful. It allows you, ultimately, to make friends and do well in business. "The most valuable thing was becoming open-minded and developing the confidence to be outside of the UK on my own"
What do you remember most fondly about your time in Shanghai? I think the most fond memories are of the people I was with. Shanghai is such an amazing city in itself - it’s like nothing you’ve ever seen before. But the fact that I was in great accommodation with like-minded people wanting to explore something new was so special. Fast-forward to today, and that’s certainly been influential in my success. What advice would you give to someone considering pursuing an internship abroad? Absolutely do it! For me, I’d just finished university and was under the usual pressure to get a graduate job that my parents would be happy with, and that I would also be happy with. There’s so much pressure on graduates to get out and there and start performing well, so I thought I'd just try something: I got into the real world, and I did that through Absolute Internship. Now I’m living in Barcelona, and before I was living in Malta. I’ve never had any second thoughts. I’m doing what feels right, and I truly believe that doing an international internship is the catalyst for having an enjoyable start to your career. What happened after you finished your internship? I went back home and lived with mum and dad for a little while. I was applying for graduate schemes, getting some rejections and some interviews, and then The deVere Group came along and offered me a job! And in an international role, which was something I was totally open to as a result of my previous experience. A lot of my friends were only applying for UK based jobs, and I think that if I hadn’t already been away from home with Absolute Internship, I might not have considered it. "I truly believe that doing an international internship is the catalyst for having an enjoyable start to your career"
What had you originally wanted to do when you graduated? I always quite liked the idea of being a trader. I studied mathematics at university, and I’d always enjoyed making money using applicable abilities. For instance, I used to play games online and sell virtual money for real money, then I played poker for a while, which at its heart is a game about mentality and challenging your knowledge against the other players. I made some money from that, and felt that trading fell in line with these skills that I was already exploiting. 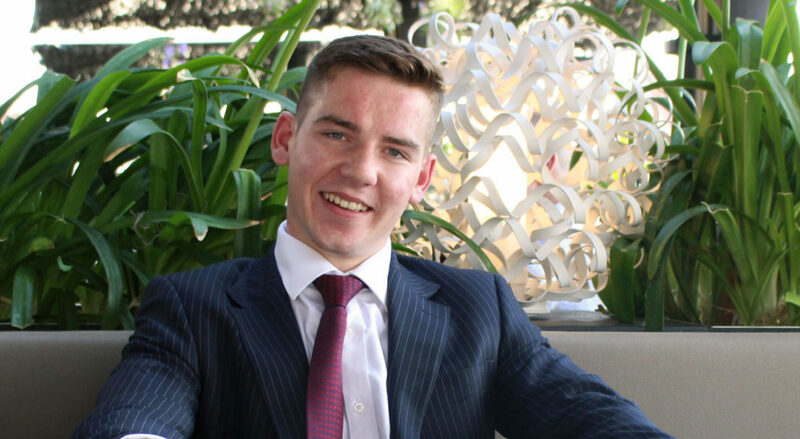 In the end, I didn’t have enough knowledge about markets to get into trading, and mum wanted me to become an accountant, but that sounded a bit too boring for me. Then financial services came along, and financial advising, which is what I do now. It’s everything wrapped into one: the analytics, which represents my maths background, and the personal skills, since you have to know how to talk to a client and work with other people or you won’t be successful. So I wanted to be a trader, and I’ve eventually became an advisor, and I think I’d rather be doing what I’m doing now than be stuck behind a load of graphs! How did your internship help you achieve your goals? I think, again, it comes back to being open-minded. It’s hard going straight from university and leaving the country - leaving your friends and family behind. It can be a scary thought. But the people that you surround yourself with, along with the management you receive from your host company - it changes everything. Don’t get fixated on the norms. You don’t have to do a graduate scheme, you don’t have to do 3 years of training before you even have a chance of being a manager. You don't need to get XYZ qualifications before you can do what you want. Of course all those things can come into play, but the system is more supportive of someone who wants to do well for themselves and has the initiative to go for it. "The system is more supportive of someone who wants to do well for themselves and has the initiative to go for it"
Before I went to Shanghai I had never really had a proper job. Not a 9-to-5 sort of job. As I said, I did maths at university, where in all honesty I probably wasn’t the most confident person. I didn’t know what I’d do after university. My internship made me more confident. I feel much better today than I did back then. It's so good being confident in what you’re doing, and making your parents proud, and all of that cheesy stuff! I got an experience I’ll never forget. Those of you reading this won't be able to tell, but we’ve just been talking about my memories and I'm smiling so much. It’s refreshed everything in my mind. I’m so happy about thinking about it. You’ll have a great time. You’ll grow in confidence. These aren't changes you can just snap your fingers and get, but you can get them through Absolute Internship. If I had stayed in the UK, I’d probably be an accountant, in a flat somewhere, and I wouldn’t have all the things I have today in this incredible international life.